Tick all the boxes with the younger set when you offer these caps as freebies at career days, orientation weeks and other educational functions. They are the ultimate accessory for skateboarders, surfers and sports lovers who want to look super cool. The design has a padded polyester front panel for extra comfort. The sides and back are mesh panels, ideal for breathability, keeping the wearer cool and dry at all times. A special fitted padded cotton sweatband adds extra protection to the sporty design. These caps wash well in cool water and can be aired dried, ensuring that they last season after season. We offer a large range of two-tone colours that will showcase your corporate logo and graphics. 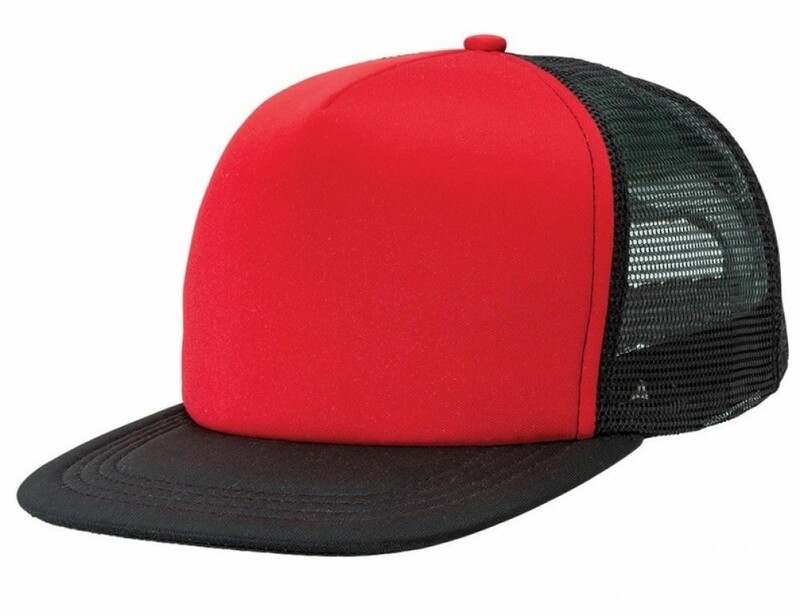 Get maximum brand exposure with our stunning embroidery technique that can be placed on the peak, sides or back of the cap. Direct full colour print onto this headwear is available upon request. Transer printing is also available upon request.